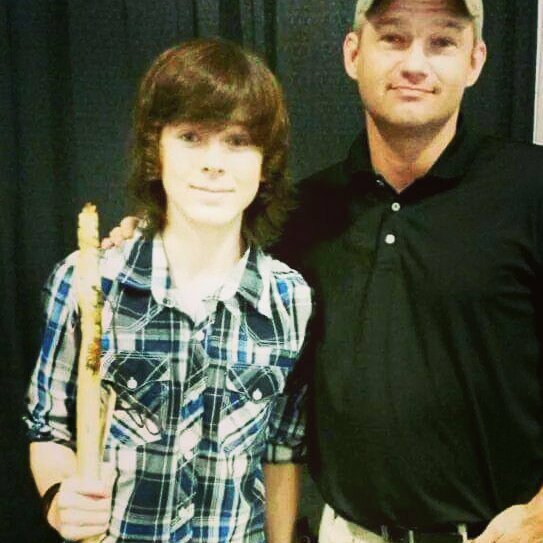 This was our first time as a vendor at WalkerStalkerCon in Atlanta and we had The Best Time! For those of you who don't know, The Walking Dead on AMC is only the best television show ever and WalkerStalkerCon is an entire convention dedicated to the fans of the show. We got to meet several of the show's stars and lots of other interesting people. The fans like to dress up as their favorite characters, from Rick Grimes and Daryl Dixon to gruesome Zombies, we saw it all! 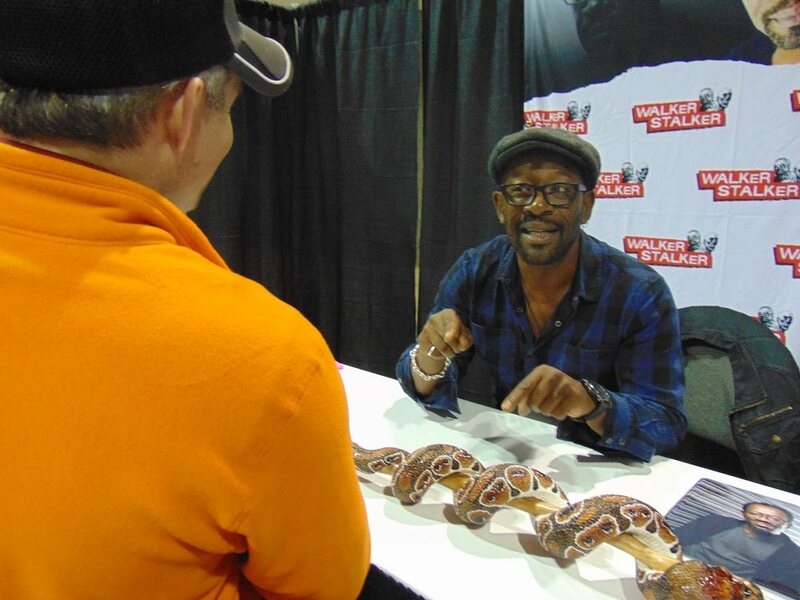 Lennie James, who plays Morgan on the show, was very impressed with our walking sticks. I got to talk to him twice about them! Hoping he'll soon be a proud owner of one! I also got to meet Loren Cohen aka Maggie Green! She was shocked and amazed by the detail and craftsmanship. Scared the pants off of Mackenzie Lintz from Under the Dome with one while she was hanging out at her sister Madison's (Sophia) booth. Got to talk for a while with Michael Cudlitz (Abraham/Bull Randleman from Band of Brothers) about the walking sticks and Toccoa's military museum and reunion weekend. 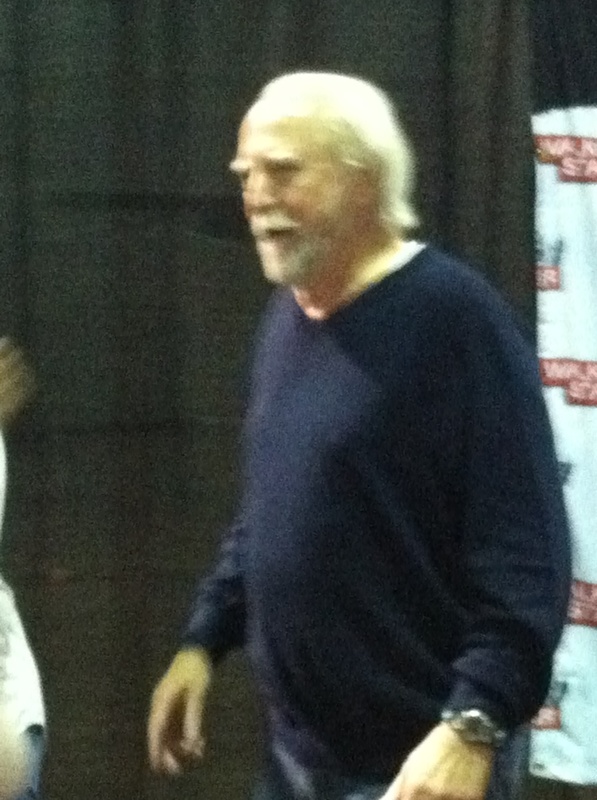 Scott Wilson aka Hershel Green said he remembered meeting us and seeing our work last year when we attended as fans. Let's see, also got in front of Denise Crosby (Terminus Mary, Chief Tasha Yar from Star Trek; Next Gen.), Chad Coleman (Tyrese), Irone Singleton (T-Dog) and Tovah Feldshuh (Deanne Monroe). I guess we handed out two to three hundred business cards. We made a few sales and some new friends. The exposure was great! I also got some ideas for new sticks and new markets that may be interested in them. Learned a lot, had a great time and made some great new contacts! 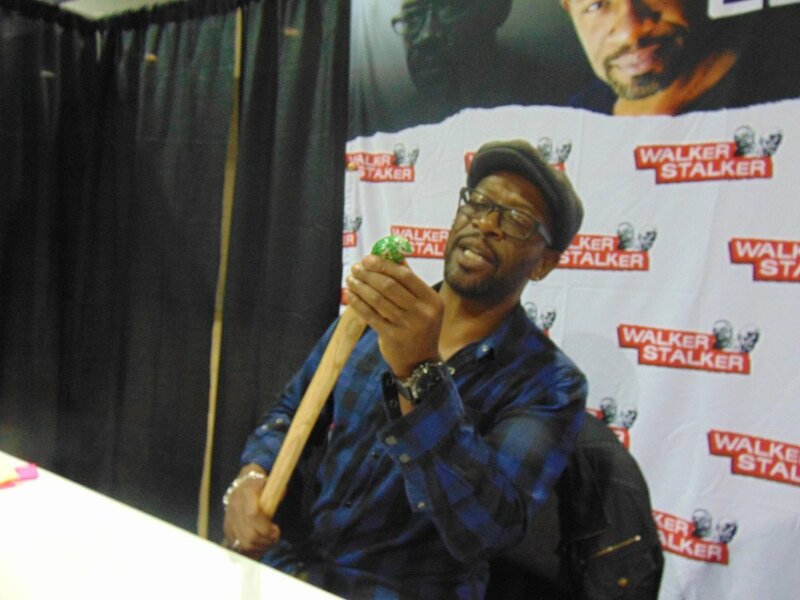 WalkerStalkerCon Atl 2015 - Successful! Here are a few pictures from the event - enjoy! We are so excited!!! 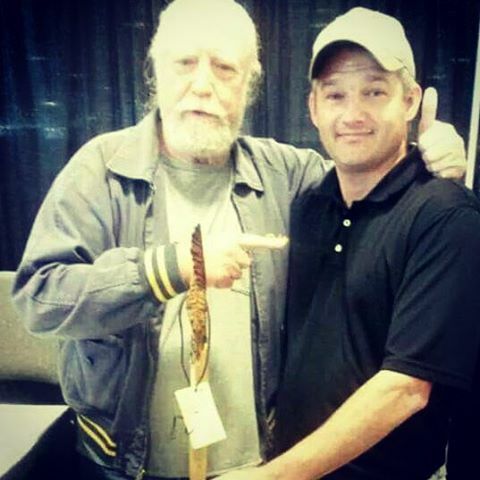 Currahee Twisted Sticks is honored to be a Vendor at this year's Walker Stalker Con in Atlanta! Please stop by and check out our new walking sticks and carvings! 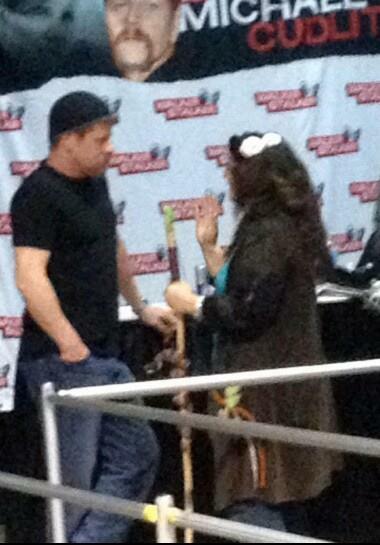 A couple of pictures from Walker Stalker 2014! 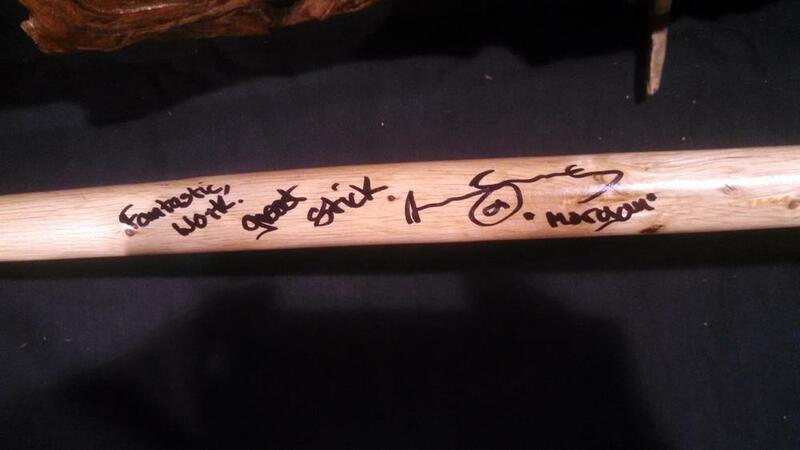 My Currahee snake sticks (I have two of them and can hardly wait to get another!) are proudly displayed in my living room for the incredible works of art that they are. But don't get me wrong, they do make it outside a good bit! To me, these sticks exemplify functional art. Each one is unique and stunning. The detail and precision that goes into each of Malcolm's pieces is simply unmatched by any other. The snakes are exquisite and appear unfathomably real. Warning: If you use them on a hike, be prepared to slow down a good bit. EVERYONE wants to check these out. And don't even get started on how it was carved out of one piece of wood and how the snake is NOT a vine but the swollen part of the wood where the vine once was! That will set you back another 15 minutes, and they still won't believe it! Currahee Snake Sticks are show stoppers!